Studying Fiqh and Tasawwuf are equally important. A person study shariah but did not study Tasawwuf ( is like a person who is breast fed by his mother, but living and dying without knowing his father, like an illegitimate child. We are living in 21st century, second and greater Jahiliya (period of ignorance). Today, everything is a confusion, everything that is taught and practiced has become a confusion. A Waswaas (Evil whisper) doubts and arguments. Even Muslims have confused about Shariah and Fiqh. So the are falling into the trap of unbelievers. They are questioning the legitimacy of shariah and saying Shari’ah is not accurate, it is not precise. This is why Muslims are divided into many sects. But they are not understanding Shari’ah and Jurisprudence. Those who gained the Wisdom of correct Fiqh (Jurisprudence) will certainly reach in the Way of Awliya Allah (the Path of Ihsan/Tasawwuf). Those who reached and stood firm in the correct Path of real Saints of Awliya Allah of this time (Ihsan/Sufism/Tasawwuf), they will certainly reach in the correct knowledge of Shariah (Fiqh). So if an Aalim (Scholar) not reaching to the correct Path of Tasawwuf, then know there is something missing in him. Either the knowledge of Shariah (Fiqh) he gained is corrupted. Or his life style contradict what he learned from Fiqh. Or he is a scholar without correct faith. And if a student of Tasawwuf is not reaching in the correct ways of Shariah (Fiqh) then know that there is something wrong with his Tasawwuf. Either he is a follower of a false Tariqah, or he did not completely surrendered to his Shaykh, or he is not among the believers. Today, we have so many people learning Fiqh from corrupt scholars. Their signs is that they are not initiated into correct Tasawwuf way. They never gave priority to Tasawwuf as it was given given priority by the classical righteous scholars. They pretend they are the guardians of Shari’ah when they themselves are corrupt (According to Imam Malik’s opinion on those who study Fiqh and not studied Tasawwuf). They attack Tariqah regarding the differences in Fiqh. But they are not judging themselves and correcting them and their groups. Also, today we have Sufi groups in east and west. They teach and study Tasawwuf books and learn Sufi experiences and states of mind. But they abandon the Fiqh (Jurisprudence) and they are fallen into darkness. The secular Sufi schools , secular sufi orders and Unitarian Church style Sufi gatherings are examples. So the Aalims who sit with Fiqh books and teach it to their followers but not submitted to a Shaykh of Tarbiyya in the authentic Sufi Way, and those Sufi groups who have head with PhD in Tasawwuf and spirituality teaching Tasawwuf in Western Universities and sitting with his students and followers but did not learn Fiqh , both are same category in the divine presence. Allah Orders in Quran, to follow those who are in authority among you. But today, the Fiqh people not appointing a Scholar who is mastered in their respective Madhab (School of Islamic Jurisprudence) as their head Imam of for the current time. Sufis not appointing a grand Shaykh as a head Shaykh to lead the Muslim nation in Tasawwuf for the current time. When Khalifa was there, there were appointed head Imams and Shaykhs for each Schools of Religious Knowledge. So this so called 21st century guardians of Islamic Shari’ah, they have failed to appoint a “Khalifa” to represent Islam. They don’t even talk about a Khalifa/Imam for the Muslims. There are living and debating with the knowledge of 10th, 12th ,13th and 18th century Imams knowledge and arguing with it. Where is today’s Imam and his knowledge? “Obey those who are in authority among you”(4:59), “There will be a Mujaddid in every century”(Sunan Abu Dawud). But you are busy with debating where to keep hand in Salah,where to keep money, in Swiss Bank or in Standard Chartered. Where to open Islamic Centers etc, how to deal with Jinns etc?! First you must learn to deal with Islam with sincerity and discipline (Adab), they are not God Conscious or Muhammad (alaihiswalathu wa salam) Conscious. They are busy with complex Jurisprudence issues though they don’t have an authority to implement it. It is like some people sitting in the streets and arguing about Chinese and American policies. Or like a dying Person who lives in a remote hill top , spending his whole life time, thinking and arguing with his relatives, what color should be his Car, should it be Audi or Mercedez , Should it have petrol or Diesel engine, should it have a garage or street park, should he visit America, if he Visit America which flight he should travel, should he marry from America. This is happening today, because they lost understanding, the Fiqh did not connect them to Shari’ah, the Tasawwuf they learnt in Colleges and Books did not connect them to the Ways of Ihsan. Though Fiqh and Tasawwuf are formally taught in books at colleges and Universities, for a person to reach in the Shariah of Allah and Ihsan, he must follow a Shaykh of Tarbiyya (Awliya Allah). Follow a Shaykh of Tariqah and be authorized by him, then come out to tell us that you are a guardian of Shari’ath.! So you taking dozens of PhDs and Master degrees, and saying you are the guardian of Shari’ah. How it is possible?, you have not mastered in tasawwuf, you have not Journeyed under a Shaykh of Tarbiyyah. But you are fearing when you come up and judge the Awliya Allah and Tariqah with your atom weight Fiqh knowledge? Today there are many people going to study B Tech or Bachelor of Engineering. They are doing it for a status, but not to work as a qualified engineer. So now your studying of Fiqh is like that, to work in the field of Fiqh, you also need to be styding Tasawwuf from a Shaykh. That time you will understand the Fiqh and it’s relationship with Divine Law (Shari’ah). Recently, a recent graduate of Bible came to speak with me, he said we need to have a relationship with God. So I may also note here a Summary of what I spoke to him. Today, people claiming they knows Fiqh and Tasawwuf. But Fiqh teach the knowledge of Shari’ah according to the understanding of the Scholar of Jurisprudence. Since the Law of Allah is from Allah and His Messenger alaihiswalathu wa salam, how can someone claim to have correct wisdom of Fiqh without having a relationship with Allah and His Prophet (alaihiswalathu wa salam)? You can have a washing Machine from a best brand in your home, you can make all the parts it used by asking another company and make a washing Machine which resemble the original one, but you will not be able to make it work. Because you do not have the technology of the original washing Machine. Today the situation of Islamic Scholarship and Muslim Ummah is same!. So It is important to have a relationship with Allah and His Messenger (alaihiswalathu wa salam), it is only through following Awliya Allah (the Shaykhs of Tarbiyyah). To follow their Path (Quran 1:7) and be with them (quran 4:69), they will open to you your secrets and your real existence. I told the Bible student about this parable. We are claiming we have a relationship with God, Holy Spirit and Jesus. But how can we make such a false claim, when we don’t even have a relationship with our own Self. We look at Mirror and we say it is me. But what we see is only our body. Who are we?, when a person dies they say: So and so died and this is his dead body. So if this is his dead body, there it is body that died, then where is he?, the owner of the dead body? So before thinking making a relationship with God, Jesus or holy spirit, make a relationship with your own self, discover yourself, liberate yourself from the lower self (Ego). That time you will differentiate between Truth and False Hood. That time you will understand whether you were making relationship with God, Holy Spirit and Jesus or you were making relationship with some false spirits and demons! Today we have many sects in islam, but the way of Awliya Allah, the authentic Islam, the pure Islam, the correct straight path offer you liberation from all prisons and false bonds. When you are only bound by Allah, that time only you can say you are free. All other ways are wrong, it will not benefit you. You do not need me to prove it, before sleeping take 30 Minutes to one house and think. Ask yourself , I am following this and that religion/sects in Islam, do I know myself?. If I do not know myself, then I should follow someone who has found himself, and can guide me to that knowledge. So I will be able to differentiate between light and darkness, truth and false hood. So before saying, holy spirit is guiding me, or I am in direct contact with Allah, that time, think do you know yourself?, do you have a contact with your own self?. That time, even if you are a great scholar in Fiqh, you will step down from your ego, and will submit yourself under the feet of a Shaykh of Islamic Spirituality. Today we have 100s of false Tasawwuf Shaykhs without the knowledge of Ihsaan and without a relationship with Allah and His Prophet (alaihiswalathu wa salam). One Prophet is not copying from another Prophet, but coming fresh knowledge for their times. So when Mahdi (A.S) and Messiah (A.S) comes, the Jurisprudence and Tasawwf will be revealed in it’s pure form as it was with the Prophet alaihiswalathu wa salam. That time, you scholars and you false Shaykhs will be their number one enemies. You will find the pure Islam coming as a stream and fill the whole earth. At that you will not argue whether Mahdi (A.S) and Messiah (A.S) are Salafi,Sufi, Qadri, Naqshbandi, Rifa’i, Tijani, Shadili, Barelvi, Deobandi.Shia etc! If you follow only Salafs, then be prepared to die or leave your salafi ideology. Because Mahdi and Messiah are not going to follow Salaf. But only Allah and His Messenger. Which means they are not coming here to study Isnads and books. If you are following 12 Imams only, then get ready to leave that ideology or be prepared to die with the sword of Messiah. Isa Ibn Maryam is not following the 12 Imams, But he directly follows Allah and the last Prophet alaihiswalathu wa salam. If you are Barelvi, Deobandi or Jamath Islami, then prepare to leave that ways too. Which I mean do not be stubborn and heedless. If you are following and become a slave of a particular tariqah and a particular Shaykh become your deity ,and did not understand what is tariqah means and what is Ihsan means. That time be prepared to die or leave your Tariqah and your Shaykh you following before. This time you will have to follow Mahdi (A.S) and Messiah (A.S). You cannot say I am following only this Shaykh and this Tariqah, If I follow Mahdi and Messiah then I will be betraying my Shaykh and my tariqah!. You cannot say, we are Hanafi, we are Shafi, We are Maliki, we are Hanbali, and stay away from the rulings of Mahdi (A.S) and Messiah (A.S). But it is said in Sahih Muslim,”Every disbeliever and hypocrite who will breath the smell of Christ will die and his fragrance reach as far he can see”. So be prepared to die or to surrender to the truth. 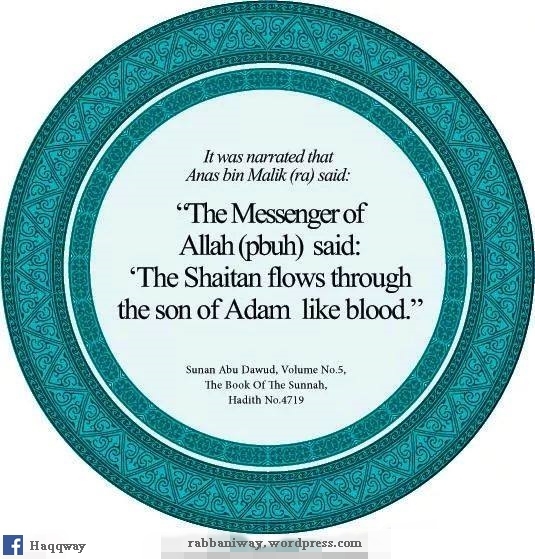 If your Fiqh and Tasawwuf not giving you understanding of the religion and truth, then that kind of Fiqh may becoming from Satan, that kind of Tasawwuf may be coming from Dajjal. Because that kind of Tasawwuf and Fiqh, even the unbelievers are learning in Universities, even the unbelievers are teaching it. Imam Malik (r) said, “Whoever studies jurisprudence (fiqh) and didn’t study Sufism (tasawwuf) will be corrupted; and whoever studied tasawwuf and didn’t study jurisprudence will become a heretic; and whoever combined both will be reach the Truth.” This saying is mentioned and explained in the book of the scholar ‘Ali al-Adawi with the explanation of Imam Abil-Hassan, a scholar of jurisprudence, vol. 2, p. 195. ALSO FOUND IN QURAN: 91:9-10 He has succeeded who purifies it, And he has failed who instills it [with corruption]. So it is clearly evident that those who are mastered in Fiqh and but not purified their self, are not worthy to be followed or taken as leaders and Imams. So Be Rabbaniyyun and Surrender to the truth. Wa Salamun alal Mursaleen Walhamdulillahi Rabbail Aalameen, wa Atoobu ilaihi.